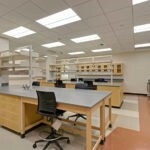 The new building includes a number of specialized spaces that meet the needs of different departments. 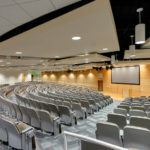 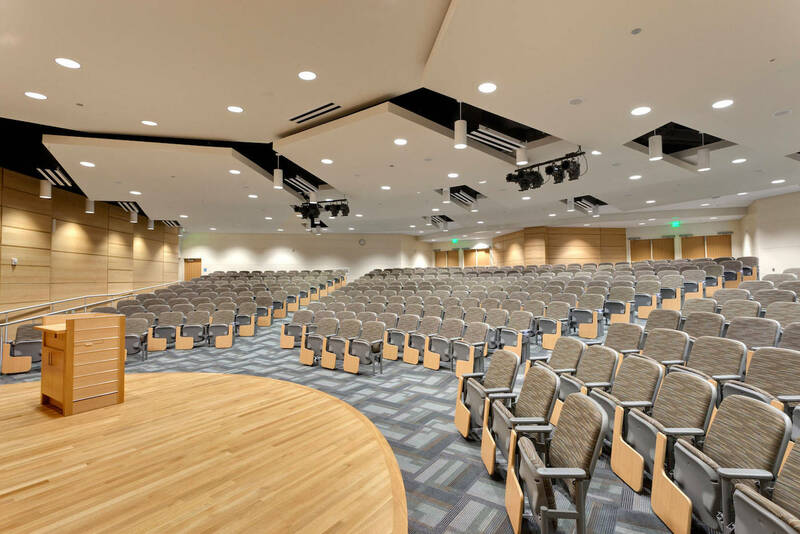 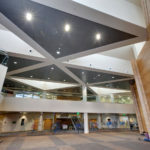 While Big-D Construction was working on this 160,000-square-foot, three-story academic building at Utah Valley University, the university hit a milestone: its student population of 33,395 made it the largest institution of higher learning in the state. 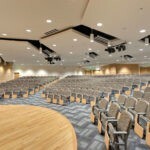 Clearly the new building was reaching completion just in time. 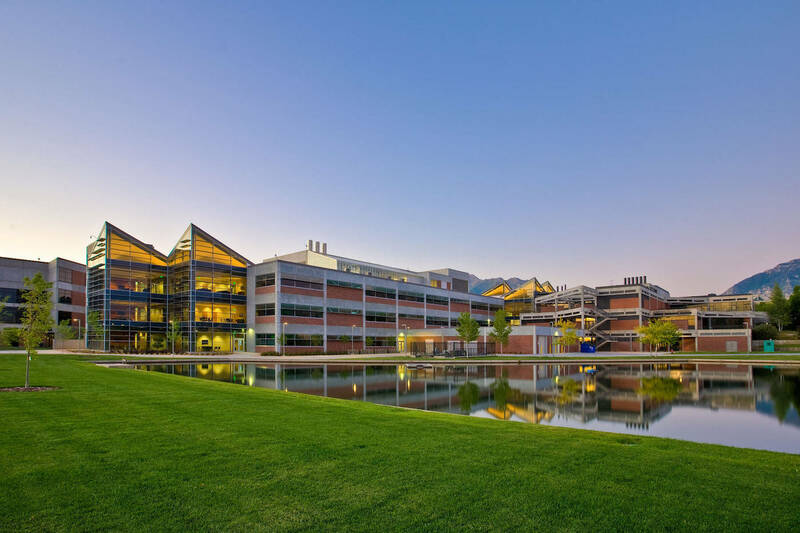 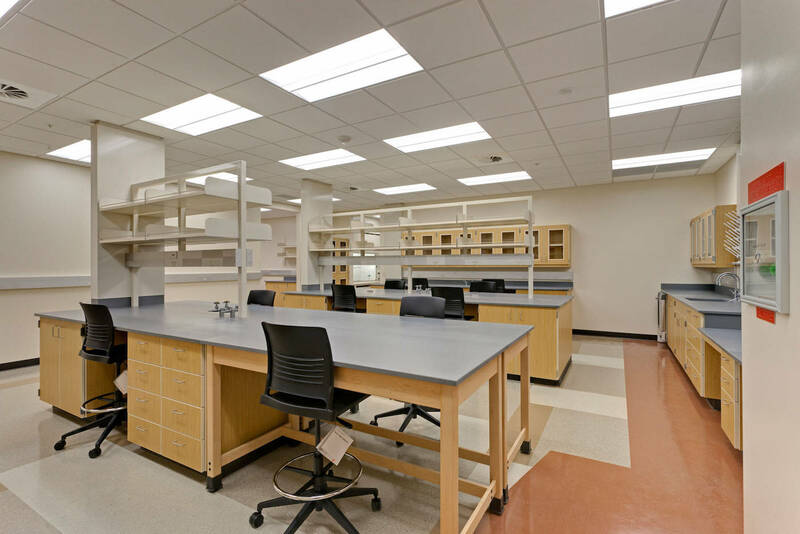 The facility brought together several departments under one roof, including general biology, botany, microscopy, physics, zoology, microbiology, anatomy, physiology, and earth sciences. 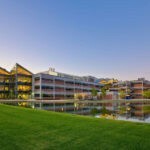 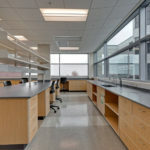 Within the facility are 18 lecture classrooms, 27 laboratory classrooms, a 400-seat auditorium, 12 student research laboratories, and faculty offices. 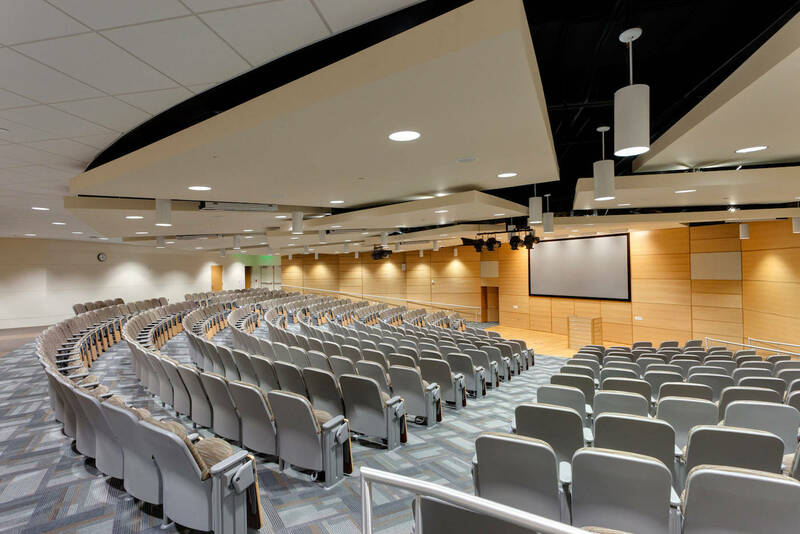 The lecture and laboratory classrooms include a total of 1,715 seats and accommodate up to 19,145 students in lecture and lab classes every semester. 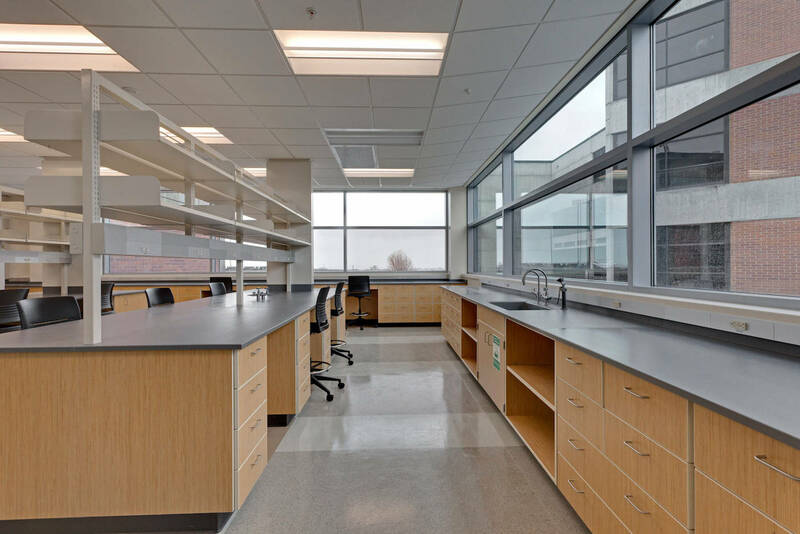 The Utah Valley University New Science Building includes a number of specialized spaces that meet the needs of different departments. 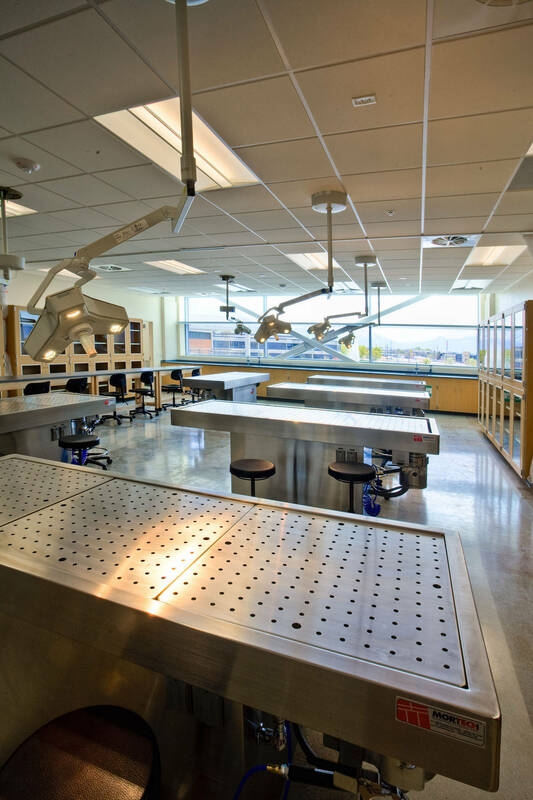 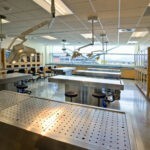 It has two anatomy labs, each with six autopsy tables; these tables are equipped with ventilation systems that draw air down through the top of the table and vent it to the outdoors. 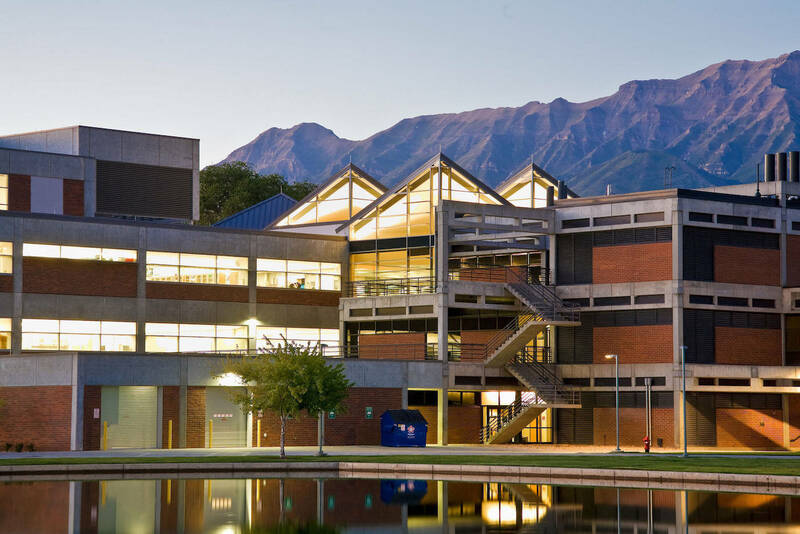 The Geographic Information Systems (GIS) laboratory has 24 workstations. 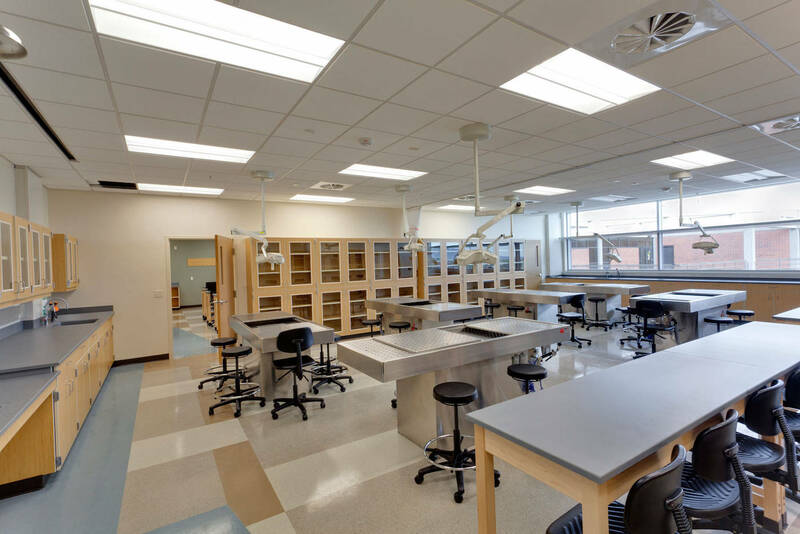 Eight different rooms are devoted to teaching biotechnology and microbiology. 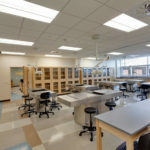 A human performance lab allows students to study and understand the function of the human body related to exercise and physical therapy. 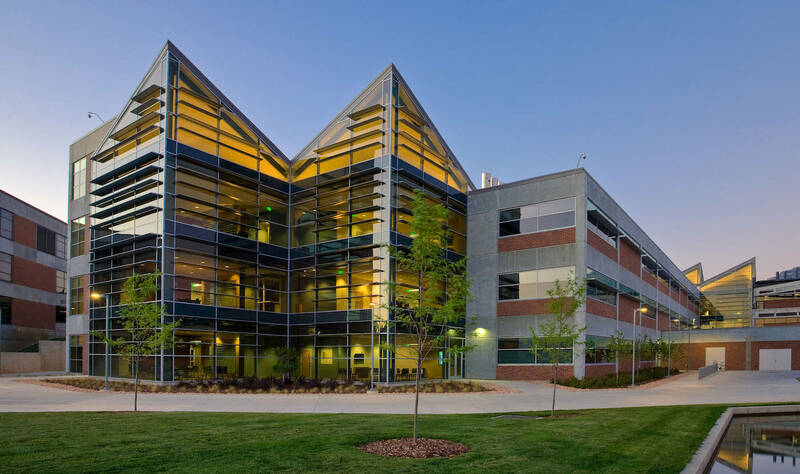 The building structure is steel with a Glass Fiber Reinforced Concrete (GFRC) and curtain wall skin and included a rooftop mechanical penthouse. 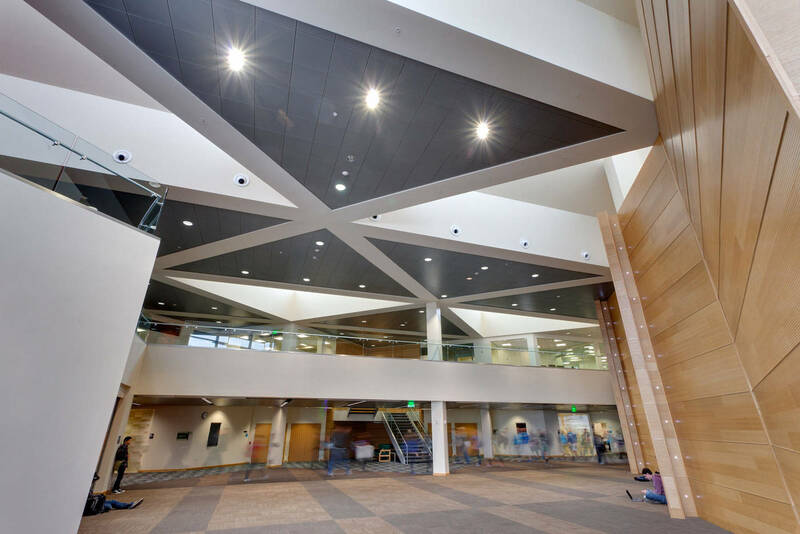 The scope of work also included upgrades to the electrical substation, central plant, and site work at the fire access road. 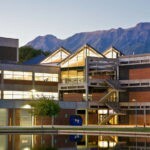 Attention to safety was essential as this project is located between two existing facilities and was constructed around active campus operations.